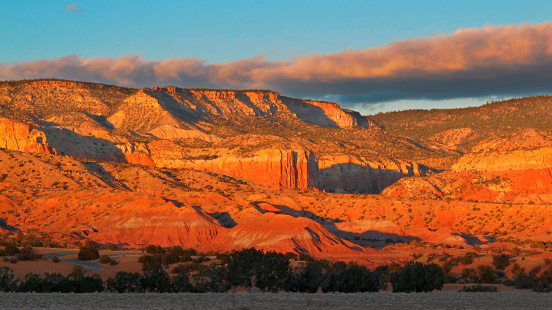 Sunset over Sandstone at Ghost Ranch. Gettyimages. My bags aren’t packed yet for my trip tomorrow to Ghost Ranch in Abiquiu, New Mexico, because one of the kids beat me to the washing machine this morning. I’m not stressing though because I am still drifting on a dream. In a matter of days I came across the website for A Room Of Her Own (AROHO): A Foundation for Women Writers. One of my writing buddies, Florencia, attended in 2012 and talked about her life changing experiences. Applications for fellowships would close in three weeks. The chatter in my head kept me thinking about this challenge. There are thousands of writers who would love to attend a weeklong retreat filled with writers, poets, and published authors leading workshops. Should I or shouldn’t I submit for a fellowship. Step One: Live for your own approval. Center yourself. Be alone. Create your own space. There was that word again: Create. That is just what I needed to recharge myself. I submitted my application with a 10 page writing sample and was accepted. Writing is usually lonely and acknowledgements don’t come as often as rejection letters, so honestly, this award surprised the s*it out of me. As a double bonus, I will be at Ghost Ranch during the peak time for the Perseid meteor showers. This display is named after the constellation Perseus, the hero of ancient Greek myth born from a shower of celestial gold. 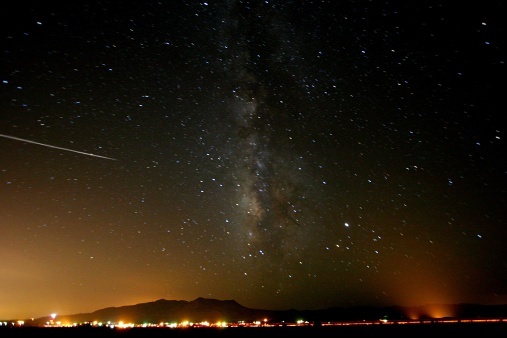 For three or four nights the sky will be pelted with shooting stars and fireballs. The big city dweller that I am, I’ve never seen more than one shooting star before. But I can imagine that the expansive New Mexican sky will be sprinkled with brilliant heavenly dust. I’ll thank the stars, the universe, and God for giving me this experience, this impetus to move forward and keep writing. Perseids Meteor Shower. Getty images. Happy belated anniversary date to Frida Kahlo, a chingona artist. She died on July 13, 1954 leaving art that lives on in perpetuity through her incredibly emotive images and poetry. You might find the word in an urban dictionary but it’s a subjective term that’s more of a concept than a specific definition. I think most Latino’s agree with terms similar to those I mentioned above and could probably add more identifiers. La Casa Azul ( the Blue House). Diego Rivera was her husband. Leon Trotsky and Nickolas Muray (the photographer of this 1938 photo) were her lovers. Frida Kahlo encountered much suffering in her life. The polio she contracted at age six left her right leg thinner than the other, a bus accident resulted in a broken back and a pierced abdomen resulted in subsequent miscarriages. Her husband was also tempestuous and unfaithful. Reproduced in The Letters of Frida Kahlo: Cartas Apasionadas, ed. and trans. Martha Zamora, San Francisco: Chronicle Books, p. 9. Today, more than half a century after her death, her paintings fetch more money than any other female artist. Felicidades to a gran chingona, La Frida. 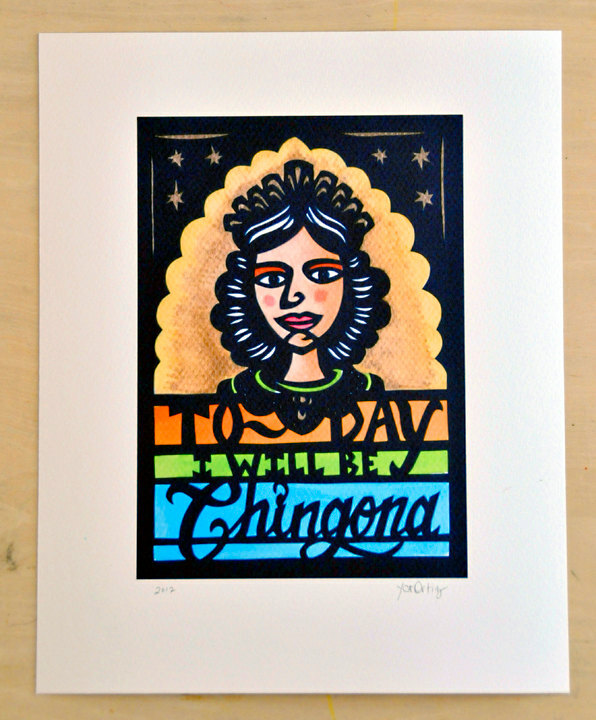 Now go out and live like a chingona.